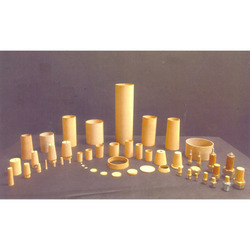 We are a renowned organization that is involved in manufacturing, supplying and trading Sintered Bronze Filter Element. These elements are manufactured employing powder metallurgical method. All these products are used for filtration purpose of liquids and gases. In addition to this, we offer customization facility of the offered range. Looking for Sintered Bronze Filter Element ?